Excavations in the English county of Oxfordshire located in the south of England showed that in the Stone Age there were brutal wars. Remains of 14 people were found out of which 11 belonged to adult men. All of them died in 3570 BC. Silicon arrowheads stuck in the bones indicate that they died as a result of the battle. On the bones, traces of the teeth of animals are also found, which indicates that after the death of the body the dead were not buried and they were fed by wild animals. A brutal murder occurred 700 years before the construction of the famous Stonehenge. 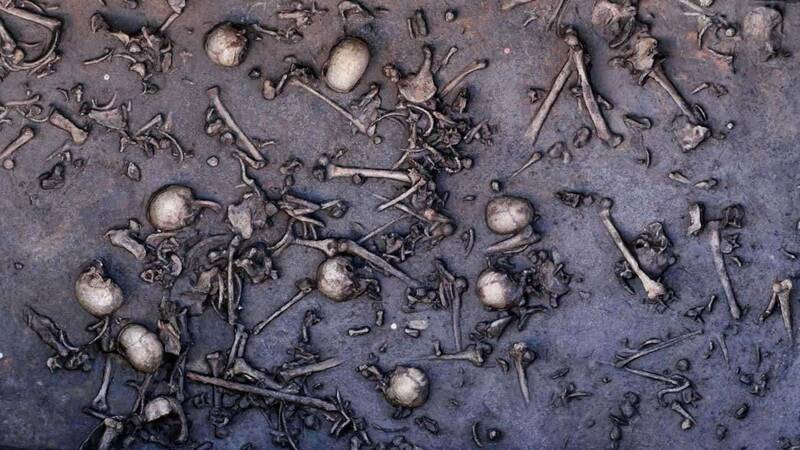 Archaeologists believe that the dead are residents of one of the settlements on which the raid was carried out with the aim of robbing and capturing livestock.